Greetings, dear ones, I am Kryon of Magnetic Service. It would astonish you to know the length of time that your soul has been here on the planet in some form or another. These are the things that hide completely behind a veil of appropriateness. What I mean by that is that it doesn’t really serve you to constantly be interrupted by energies of the past. So, esoterically for you, there is always the feeling that, perhaps, this is it – the only life you get. You should know that, on purpose, there is no real proof that there is more than this. There is nobody who might come back and touch you on the shoulder and say, “Look, it’s me! I’m still here!” So, dear ones, all that I speak about and all that I am as Kryon and represent as truth is something you trust is real by having faith and by using spiritual logic and intuition. The Human condition is changing, and what is actually moving in that change is the Human toolkit of wisdom. Wisdom, of all of the things in your purview, is one of the only things that is tied to almost everything else. It’s tied to intuition. It’s tied to your Akash, and it’s tied to something new for you. This new attribute is something you will name eventually, but some have other names for the feeling that you belong here spiritually. It’s a feeling of knowing when things are correct. It’s a knowingness inside you that will involuntarily nod in agreement when you hear the wisdom of the ages and can sense that it’s accurate. This is something new that some of you are going to experience soon. You’ll begin to have an evolution of the “intuitiveness of truth”. Things will begin to ring with the purity of truth in a way that you can measure with your body’s reaction. Something will happen – perhaps it will be a motion, perhaps it will be a feeling, maybe chills, or something else. Perhaps it will be something that will just ring with correctness for you and you will know it’s correct. Now, this is new in that in an older energy, it wasn’t there – not like what I’m describing. Some women will say, “Well, I have intuition of that very thing in an older energy.” Dear ones, not to the degree you will today and not to the degree that all Humans will feel eventually. For whereas it might have belonged to women because they have better intuition in general, or because of a connection in their brains that’s different biologically, now it’s available for all of humanity. So you might say the very physics of the reality that you sit in is starting to change. You might even say that you and those around you are becoming wiser. Wisdom is a very interesting study. If you want to take a look at the wisdom of humanity, it has had a very interesting background since it really isn’t wisdom at all. It’s a limited version of self-congratulation. At the level of the evolution of your consciousness, it is a self-enclosed wisdom. It’s the kind of a wisdom that would congratulate itself for being so wise. We will call this “bridled wisdom” or “confined wisdom”. We sit in a place called the Temple of Wisdom today in this university and, by the very name “temple”, it would indicate the wisdom of God, the creative source, a source that is above all sources and involves great compassion and love. One of the interesting things about true wisdom is that it’s quiet. It’s knowing, and it involves more than just thinking. The famous statue of “The Thinker” might bring you to the conclusion that the thinker is also wise. That’s not necessarily true. He’s just thinking about it. So to your perception of the past, wisdom is almost always connected to the brain. How intellectual is the person who is wise? I have told you before and I’ll tell you again: Wisdom without love is nothing but words. Wisdom without the foundation of compassion is not wisdom. It’s just postulations for contemplation – a circle of thinking for the sake of thinking. Real wisdom is the result of love and compassion working together in a way that examines that which is beautiful, core, spiritual truth. Out of that comes the wisdom of the ages that you have longed for. The brain cannot give you wisdom. It can give you high thinking and the illusion of wisdom. But it can only give you what I will call “bridled wisdom”, wisdom that is contained in a fence of self-congratulations. There is a famous story: There are those who wish to open a door, so they slam their heads against the door over and over and over. The door, by the way, never opens, but they congratulate themselves for slamming their heads. After a while, they stop slamming their heads and proclaim the door has opened, even though it never did. Some even give their lives to slam their head against the door in an attempt to be part of the self-congratulations that the door has opened, when it actually didn’t. After a period of time, they realize the door must be opened again, even though it never opened the first time. So they come back and slam their heads against it yet again. Every single time they do the head-slamming pseudo-door-opening, they congratulate themselves when they’re finished, and they even talk about the wisdom that it took to accomplish the slamming of their heads. This is humanity at its best in an old energy you grew up within. You know exactly what I am talking about, don’t you? After a period of time they slam their heads, yet again. Sometimes the door has different names. Sometimes the doors are different, but they never actually open. Even at that, there is somehow the self-delusion and the cycle of self-congratulations ensues. There is an acknowledgement of wisdom that never occurred because it is in a circle of false logic and mythology, and it never really gets past the Human brain’s idea of what it means to have the door open. Along comes a person with the key for the door and opens it easily. Door authorities are shocked, and they quickly take that person and tell him never to come back. It’s because they know that now they are dealing with the devil or the occult – for the one with the key had solutions that were outside of the reality of anything a Human was supposed to be able to do. Therefore, they slam the door shut and continue to beat their heads against it to try and open it their way. After all, head-slamming is now a respected and expected way of working with the door. The wisdom of the ages comes from a dysfunctional mindset that believes it is wise when it isn’t and congratulates itself for things that it made up or perceived in ignorance as truth. We have given you a saying: “A fool does not know they’re a fool.” So the head-slamming door openers have the same attribute. They can be ultra-foolish and never see it or know it. They will walk and talk in foolish ways and never realize it. Others, however, are starting to see it immediately. The Human race does not know it is dysfunctional. It is just now climbing out of this self-proclamation of what it believes wisdom is. But indeed, it’s starting to climb out of the fool’s shell that it has been within. “Unbridled wisdom” (the real thing) is complicated and it’s very different from what you have been told wisdom is supposed to look like. It doesn’t belong to the intellectual thinker, dear ones. It belongs to the compassionate Human. Wisdom takes a new direction that you’ve never even thought of, since it isn’t taught. Did the masters of this planet have wisdom? If so, how much noise did they make? The answer is none. They sat and were quiet, yet the wisdom that exuded out of all of them was the profound wisdom of the ages. They could look at you and melt your heart with the love and compassion of the Creator, and the result was pure wisdom. Bridled wisdom, or “wisdom in a box”, makes a lot of noise and proclaims itself as truth. It markets itself within a wisdom hierarchy, where it is the “best wisdom”. It overthinks itself, creates mythologies to justify itself, and kills to survive. Yet in all this dysfunction, it cannot see that it is broken. Do you believe in the Human Merkabah, an energy field, which represents multidimensional biology? Perhaps it’s a profound spiritual field? Elisha (II Kings – The Holy Bible) saw it! Did you know it’s huge? It’s eight meters wide! [26 feet] It has profound patterns and fractals, too. If you have studied the Flower of Life information, you have seen the immensity, complexity and potential of the Merkabah. But wait, I said it was multidimensional, not esoteric – that means it’s physics! Correct. There will come a day when there is an acknowledgement that God (the master Creator) is the master physicist and, therefore, the study of physics is simply the study of a spiritual master plan of profound physics. Indeed, there will come a day when you simply can no longer separate science and spirituality. There would be those who might say, “Well, it comes from the soul.” Then you might ask, “Well then, where is the soul?” This is the logic that will lead to many answers, none of which will be true. You are guessing, based on intellectual wisdom. The true answer is a wise one, and it’s a lot more practical than anything you might think. Where does the Merkabah come from? It comes right from that which is your collective DNA, for dear ones that beautiful ancient DNA comes right from the stars. The patterning within the multidimensional parts of the DNA creates that which is your Human Merkabah and it’s sacred. It contains not only the wisdom of your planet, but of the cosmos itself. There will come a day when you must acknowledge that your biology has a place that is beyond Human logic, and instead is part of the wisdom of the Creator – and it isn’t created in the brain. There is something else in the DNA as well. It’s “the memory of everything”. It’s the memory of your Akash on the planet. Who were you? What have you accomplished life after life. Did you learn anything? So the greatest “unbridled wisdom” on the planet is going to come right from the old souls who may even sit right here. It’s the same wisdom that the masters had, and it comes from the same place. It has nothing to do with intellectual pursuit, and it knows better than to slam its head against a door called mythology. It is firmly grounded in actual, practical history of your galaxy. Who were the greatest thinkers of history? Some say the Greeks. Note that they made their Gods dysfunctional, to match Human nature. They were, therefore, very good at making their “wisdom door”’ one that never opened to anything that was more than intellectual pursuit, or the idea that God was just like a Human. The real wisdom was to come much later. Number one: They will be quiet – no chest pounding. Number two: They will realize that everything they know is a fraction of what exists. Therefore, there is humility for what they do not know. Number three: They will always be ready for the unexpected and never consider anything to be “complete”. Number four: They will love unconditionally and profoundly. They will love humanity and the earth in an obvious way. Number five: They will have “extended” compassion – something you haven’t seen yet. These would be the wisest ones on the planet, and they are coming. The greatest wisdom on the planet will come not from “high thinking”, but from that which has been experienced over eons of time by humanity. Only old souls will have this. The Akash within the DNA is awakening with this attribute, and you will see it first in the new children who are arriving after 2012. Even now, you are seeing the difference between children who are “smart” and children who are “wise beyond their years”. What can you take away from this discussion of a new kind of wisdom? It will start changing the way everything works, and that may be fearful to some. Change is that way. It starts to change everyday life and things that have been the same for eons. It starts to morph “normal” into something else. This new, evolving Human nature will affect the way you do business. Business leadership will start to understand that employees are true Human resources and are the most valuable things that exist on the planet. Therefore, they are more family than workers, and there must be caring in the workplace. The bottom line for new business will be a combination of financial outcome and how the “family” is doing who work in the company. What can management do to make the “work experience” more peaceful and productive for all those who work there? Large corporations will become large families, and workers may never want to leave because they are taken care of in many ways. Is this some kind of a Pollyanna, pie-in-the-sky dream? Dear ones, it’s already here in some cultures. What would wisdom look like in politics? We have covered this before, but some need to hear it again. There will come a day when if one candidate will criticize another in a non-ethical way, you’ll drop them. You will do it because this will show you who they really are. If one candidate speaks harshly of their opponent and calls them unkind names, you’ll drop them. Unkindness is a transparent window for you to see into their personality, and the public will be repelled by it. Voters will expect integrity, honesty, compassion and kindness, even within the heat of disagreement of ideas. Suddenly there will be the evolvement of the political process, and one side will not have to slaughter the other one in order to be understood or to win. Winning through misinformation will be seen as dishonest and unacceptable. That’s going to change the way politicians campaign, dear ones, and it’s coming. You’ll find that they can’t be nice enough to each other! However, when the public starts changing what they expect, many old politicians will react and try to match that expectation in order to be elected. But if it’s fake, you’ll see through that, too. On a public stage, a Human can’t pretend to be kind and compassionate if it’s not who they actually are. Reality shows quickly. The first time you have a contest where two or more candidates come along with compassion and mean it, and really like their opponents, it will be such a breath of fresh air for you! You will actually start listening to opposing ideas and won’t concentrate on the negative. You will see the difference and realize it’s a real game changer. It’s going to change who is elected. Because the one who is elected will then go on to expect integrity from those she/he works with beneath them in the leadership role. It’s going to change everything because it comes from that which is not the heart, but a DNA that is evolving. Compassion will be the new gold standard. Look around this room. Some may ask: “What have you all been through?” The answer is everything. Look at the genders in the room and realize this: You’ve all switched them! Each man has been a woman. Each woman has been a man, many times. You keep trading places. Each one of you has full Human experience. Each one of you has experienced the joys and the horrors of life, and this creates a wisdom that could never be generated simply by the intellect of the Human’s brain or through thought alone. Dear one, you’re getting closer to the creative source and the original teaching the Pleiadians gave you. You are beginning to see the “oneness with everything” on this planet and it is changing the way you think. Right now, the wisest one on the planet may very well be a tree hugger! That person is connected to Gaia and has the wisdom of the ages sensed through the roots that go directly into the earth. As the tree breathes what you exhale, it becomes one with you and you with it. The emotion you feel is that which is nature, your partner, and it’s the wisest partner you could ever have. Gaia is love. If you could impart that feeling and turn it upon humanity, it would change everything. Many will cry when they realize that this is impossible. However, one by one, much of humanity will see this in its own way and gaze out over the vista of the beauty of nature and start to understand that it may actually have a “knowingness” of humanity. The indigenous taught this. Nature (Gaia) knows humanity – and this beautiful energy can be accessed! The indigenous of the planet had far greater wisdom than you do today, only because they understood the connection with all things. So that’s the next step. We speak about your DNA. We speak about the Akash (your past-life wisdom) that is there to help you to develop the compassion and the love for other Humans. And we tell you that your ancestors are part of you – exactly as the indigenous knew. The final one is a profound connection with the earth. Some of the wisest on the planet through the ages have been those who are shamanic and who were connected to the planet in such a way that it’s hard to tell the difference between the nature and them. They understood the “oneness” of things and could do all manner of seemingly miraculous things. That’s the way it works, for Gaia is a living partner. Through the ages, much of this has been forgotten. However, when you start to understand the energy of the grids and how they come together to actually guide and help you, you begin to understand the reality of all this. Another attribute of wisdom is the realization of how you are connected to that which we call “the field”. Is it possible that simply walking around the earth connects you to all thingsin a certain way? Might there be a coherence between you, your consciousness and all that is? As you walk from A to B, do you feel that there is another presence with you? You might say, “Well, that’s God.” Maybe it isn’t. Maybe instead it’s the God part of you connected to all that is on the planet, working together for you in a special arrangement. The field is something that always has been there, dear ones, but only in this new energy is it being seen, measured, and analyzed. This is part of the evolution of your consciousness, where you are actually starting to look at consciousness as a “player” in the physics of what creates your current “dimensional reality” (how you perceive yourselves). The masters of the planet look you in the eye and they say very little. Nature does the same, and the elementals are the same. All of these energies say very little. You can transmit love, compassion and incredible wisdom simply by walking where you have always walked and knowing who you are. Everything melds into one. It’s almost as if your wisdom and the light coming from your Merkabah spread themselves wherever you go and gently touch others in an esoteric way. Some around you will be affected and may eventually ask: “How do you have peace over these things? I’m in the same condition you are and I see you are peaceful. I’m not.” This is an invitation for compassion. You can begin to speak to them about how a bigger perspective of who they are creates a wisdom of peace. You can gently let them know what you have discovered – that you are not a victim of the world and that Humans are individually in control of who they are and what they can do, and not what they have been told by others. This would be your wisdom, coming from your experience of walking from A to B because of who you are – a magnificent, beautiful, Human Being on the planet. This Merkabah of yours is going to play a bigger part than you know in the future of civilization. That’s its design. That’s why it is there. 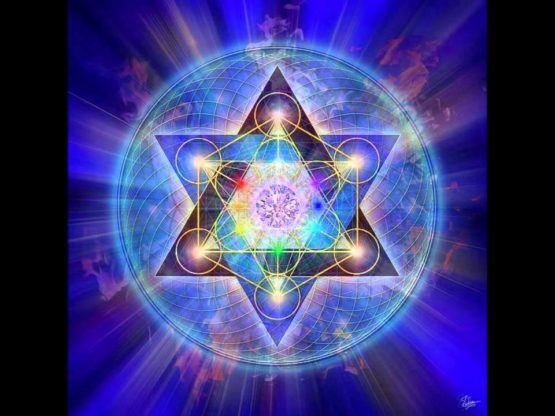 Think of the Merkabah as a multidimensional, biological part of you that has always been with you and that some have sensed from the beginning. Even without the instruments to see it, many have studied and taught about it. However, you still have no idea what’s actually there. “Unbridled wisdom” is the ability to understand that you don’t know everything, but are ready to see beyond a barrier of belief that currently hides things from you. “Unbridled wisdom” is a wisdom that wants to sit and be quiet and simply ponder the beauty of all that is and be satisfied with that until greater knowledge is unveiled. The most exciting thing for a guru is to be quiet for a year. That is internal wisdom, unbridled, not self-congratulatory, and open for what it doesn’t know yet. The one who sits in quietness and absorbs everything else that’s quiet has “unbridled wisdom”. Again, an example of closed Human consciousness is this: “A fool does not know he is a fool.” But unbridled wisdom is when a Human knows he can’t “look up” into a higher dimension of thinking, and indeed might be foolish, but he also acknowledges that there is more there than he knows now and that it’s actually reachable and is his – in time. The wisdom tools are inside of you, all of them. Collectively, the coherence that you can generate working within one group, when you all totally realize it, is enormous. What you can do collectively for this planet, even in your quietness and in your silence, is amazing. It redefines wisdom as you know it, and replaces it as a practical energy instead of just a lovely concept. Nothing is by accident in the room. All of these things, dear ones, are starting to be revealed in this age and in this time. How wise are you? Can you even begin to get in touch with what we have called your cellular structure? Did you know it has an intelligence that is slightly apart from your consciousness? Have you heard of your innate? All of these things are part of a new, wiser Human who says, “I don’t really understand the minutia of these things, but I am fully aligned with them and am ready to use whatever part of these esoteric things that will help my life and those around me.” Some of these things were never taught to you in school or taught anywhere at all! Not even in spiritual systems did you hear these things. Does that make them incorrect, dear ones, or does it tell you there are new things happening here? That’s where humanity is headed eventually, at whatever speed it wishes to go. That’s the free choice of what it’s like to have two steps forward and one back. The battle of light and dark and duality that is in front of you is new, and you are slowly winning this battle. Don’t be frightened if things seem different, dear ones, because they are. Don’t be frightened of change, because there will be much. Instead, claim that wisdom that says, “I expect the unexpected. I expect a benevolent outcome, because that is who I am.” Be peaceful with the next step, even if it’s unknown. We speak today from Delphi University in the Temple of Wisdom, again in honor of those who created it and the forethought they had. They had no idea that it was built for a future that no Human knew was coming, but that now is the actual place from where that unknown future is being taught. This entry was posted in Uncategorized and tagged conpassion as new gold standard, human condition is changing, knowingness, Kryon, love, merkabah, toolkit of wisdom, wisdom tied to intuition. Bookmark the permalink.